We are recruiting a Marketing Automation Executive. This role will be working in a team of seven and will report to the Digital Marketing Manager. A second team of Dexion Romania colleagues have successfully completed 5 days of training in 6 Sigma methodologies receiving their Green Belt certification. Dmitri brings extensive experience and a wide range of skills to his new role at Constructor. Constructor Group sent a strong team to the recent AGM of the European Racking Federation (ERF). Our main focus is to offer a well-founded program of training to the young people who start their business careers with us every year. When Dexion heard about the Libra Foundation, a charity that supports Romania’s most disadvantaged children in local residential centres, they were keen to know more. Dexion’s employees sought shade from the searing hot August weather, on the banks of Bela’s Poplar pond in Belin, Covasna where the 2017 Dexion Fishing Cup took place. Our applicants should have a genuine passion for technology, analytical thinking, interest towards communication skills and team projects. 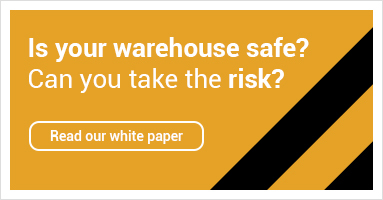 Before you commit to investing many thousands if not millions in automating your operation, reading our White Paper on the subject is a worthwhile investment of your time. The 12 teams each consisted of 8 men and 1 woman and they all showed great determination and passion throughout the competition as well as a great deal of fair play. 130 people took part in this action, most of them being Dexion volunteers, joined in by employees of GosCom Cetate Rasnov and soldiers from the nearby Military Unit. Mr. Mihai Constantinescu is a talented Romanian senior engineer who was recently elected as a Member of the Institution of Mechanical Engineers. Our testing centre is integral to our high standards and workmanship of our products, where we continually innovate new products and improve existing ones. The leader of the Storage Solutions market in Romania, Dexion has recently reached a new milestone, currently employing over 300 in its Romanian headquarters as a direct result of a growing market share, a diversification of products and an increased role throughout Constructor Group. The Czech Logistics Association was happy to welcome Dexion as members recognising the company’s global importance as a major manufacturer since 1947 and innovator, which promoted the Slotted Angle as the world’s first racking system. Dexion's compact storage solutions, i.e. mobile racking and mobile shelving, make the most of the space available while at the same time allowing fast and safe retrieval. Dexion are therefore pleased to announce that they have been awarded accreditation from safecontractor for its commitment to achieving excellence in health & safety. For businesses where space is at a real premium, pallet shuttle systems can be the first step towards a fully optimised and automated solution. As part of Dexion’s policy of expanding its presence in Eastern Europe, new Dexion websites were recently launched in Ukraine, Bulgaria, Moldova, Serbia, Croatia, Slovenia, Bosnia - Herzegovina and Muntenegro. Mark Cummings, Sales Manager from Dexion now takes a look at some of the options you can consider before committing to your final storage and racking solution. Slotted Angle has been used to help showcase Britain’s fashion stars of the future at Graduate Fashion Week which was held at London’s Earl’s Court in June, 2010.